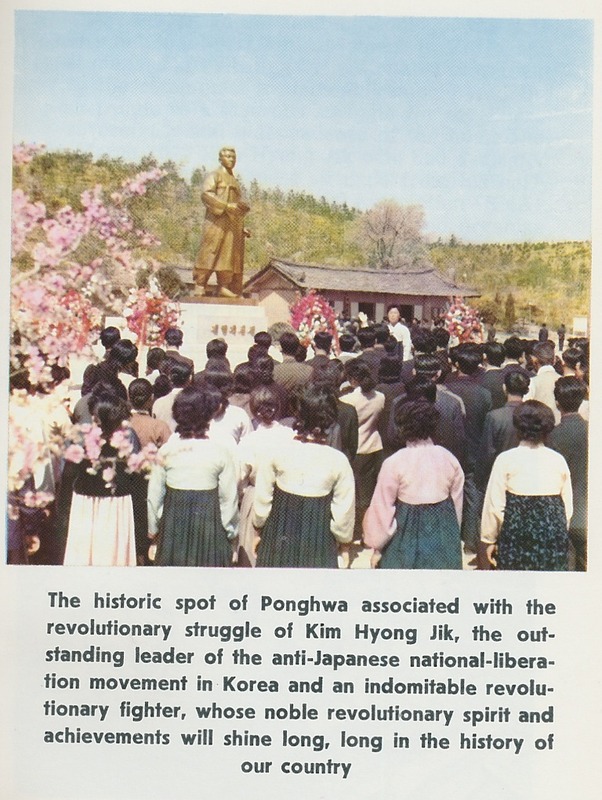 From Korea Review (published 1974) According to a passage: "Kim Hyong Jik's unfinished revolutionary cause was carried forward and brought to brilliant consummation by his son...Kim Il Sung." In 2002 the regime revised "son" in this context (which referred to KJI) to "grandson." The KWP Political Bureau (Politburo) announced on 26 June 2010 that it would convene a Party Conference or Meeting of Party Representatives. According to two reports the conference will begin on 6 September, and end either on Wednesday, 8 September, or Thursday, 9 September (which is also the 62nd anniversary of the foundation of the DPRK Government). Good Friends citing sources in the DPRK says that the Party Conference will begin on Saturday, 4 September, which is the day after the 7th anniversary of Kim Jong Il’s reinstallation as Chairman of the National Defense Commission at the 11th SPA in 2003. 5 September will mark the 12th anniversary of the opening plenum of the 10th SPA, which re-elected KJI as NDC Chairman, and made that position the DPRK’s highest government office. According to the announcement, the Party Conference’s two immediate agenda items will be reforming the party’s by-laws (“sacred revolutionary tasks to develop the WPK”) and Central Committee members (“a conference…for electing its highest leading body”). The party Central Committee may convene a party conference between party congresses. The election procedures and ratio of representatives to party conference are decided by the party Central Committee. The party conference shall discuss and decide on urgent problems of policies, strategies, and tactics of the party and shall expel those regular and alternate (candidate) members of the party Central Committee who fail to perform their duties and elect new regular and alternate (candidate) members. The last Party Conference was held from 5 to 12 October 1966. On 12 October 1966, the CC KWP convened a plenum meeting in order to deliberate on, and implement, the changes introduced at the Party Conference. The 2nd Party Conference was also followed by two significant purges: the Kapsan Faction in 1967 and the removal of the so-called “military adventurists” in 1968. The 2nd Party Conference was ostensibly called so that the government could extend one of its economic plans until 1970. Several candidate and full members of the Party Central Committee were dismissed, and replaced. The most important changes to the DPRK’s system was the re-introduction of the Central Military Committee, so that the party could gain political control of the service branches of the Korean People’s Army. The other major change was the introduction of the Secretariat system. The 2nd Party Conference did away with a system of Party Chairman. The KWP’s highest leading official’s title changed from Chairman to General Secretary. The Secretariat system is the bureacratic mechanism by which Kim Jong Il succeeded his father. It is also through the CC KWP Secretariat (as well as the Political Bureau) that Kim Jong Il has managed the party, and much of DPRK political life, for nearly two decades. Those big, powerful party institutions–Organization Guidance, Propaganda and Agitation, Military Industry, even Office #39–are technically subordinate to the Secretariat. The Secretariat and the Political Bureau are not intended to manage the party and set policy. Decisions and guidance on policy are deliberated by the Political Bureau, the Secretariat and the National Defense Commission. They are communicated through the CC KWP General Affairs Department and KJI’s Personal Secretariat, via the Organizaton Guidance Department (to party cadres, secretaries and managers), the MPAF General Political Department (to officers and service members of the KPA’s service branches) or the Propaganda and Agitation Department (to domestic and external audiences). The DPRK is notorious for a “lack of transparency”; in the last 20 years, KJI has essentially smeared vaseline on frosted glass. Kim Jong Il has operated outside of the KWP Charter and its by-laws for a number of years, which requires that a Central Committee plenum be held every six (6) months. The last CC KWP plenum was held in December 1993. The number of active, surviving Central Committee members are only estimates. The first order of business of the 3rd Party Conference will be to replenish the candidate and full membership of the Party Central Committee. This offers KJI and Jang Song Taek the patronage opportunity of filling the CC KWP’s membership with supporters of the country’s new, external-oriented economic plans, as well as political backers of the hereditary succession of KJI’s youngest son, Kim Jong Un (Kim Jong Eun; Kim Cho’ng-u’n). 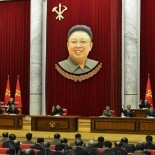 If Kim Jong Un is given any significant positions at the 3rd Party Conference, it will be as a member of the CC KWP. It is possible that his election to the CC KWP won’t be publicized (at least to external observers) or done pseudonymously. The 3rd Party Conference will also revive several of the party’s power institutions, whose membership has plummeted since the 6th Party Congress, including the Political Bureau and the Secretariat. It is rumored that Kim Yong Nam, Jang Song Taek, Choe Yong Rim and VMAR Kim Yong Chun will join the Standing Committee of the CC KWP Political Bureau. At the present time, Kim Jong Il is the sole surviving member of this body. 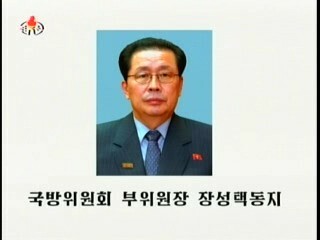 It is also rumored that Jang Song Taek (and not Kim Jong Un) will be elected as the party’s Organization Secretary. It is also possible that CC KWP Secretary of Economic Affairs, Han Song Ryong, will be replaced (candidates might include Thae Jong Su or Hong Sok Hyong, who are both former provincial party secretaries recently reassigned to the Central Party). 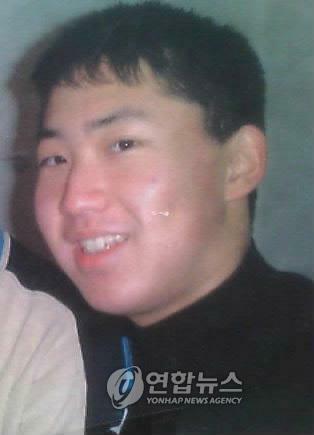 Of advanced age and with a history of health problems, Han has not appeared in the country’s media for some time. The regime may also choose to highlight his long years of service and good standing, by giving him an honorific title (as was done with KIS youngest brother, Kim Yong Ju who is Honorary Vice President of the SPA Presidium). One possible power body to which Kim Jong Un may ascend is the party’s Central Control Committee, which regulates party disciplinary and membership issues (n.b., whether Pak Nam Gi was internally exiled or executed, his file passed through the Control Committee as a formality). The Control Committee could be one venue (OGD is another) where Jong Un could control his base of support because he would be directly regulating party membership; those who are not “with the program” could be expelled from the party and conversely, he could grant clemency to suspended or dismissed party members (particularly DPRK expatriates who have resided in China since 1993). 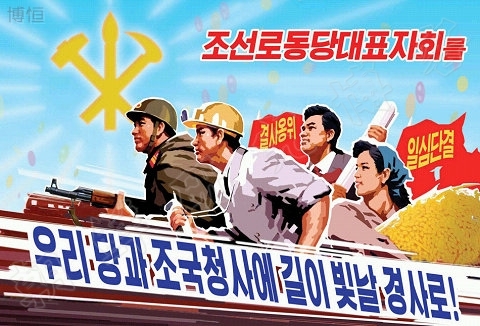 Despite the layer cake of personalities and institutions cooked up at the 3rd Party Conference, the proceedings will be underscored by the revival of party life, which has deteriorated in the KJI era, due to economic activities and the regime’s emphasis on Songun (military-first) ideology and Army-People Unity. Participation and attendance in Party Cell meetings has declined, if even held. The Party Cell, once the cornerstone of party life, was also the regime’s primary social control mechanism. Since Jang Song Taek’s formal return to the power center, KCNA has highlighted in 2008, 2009 and 2010, another aspect of party life for party cadres and government workers: Friday labor. Friday labor was introduced in the 1970s and consists of the mobilization Pyongyang-based party and government workers performing manual labor. The party’s economic journal published an extensive editorial about party management in the workplace. Another element of party life was highlighted during KJI’s birthday festivities in February, when members of the KIS Youth League retraced part of KIS’ factualized odyssey from Pyongyang to China. Kim Jong Il’s sojourn through northeast China in August 2010 was an example (albeit a supreme one) of party life, which in part requires that good party members to participate in pilgrimages to revolutionary sites connected to the late Kim Il Sung. KJI actually traversed (or railroaded) the Chinese side of KIS’ youthful meandering. 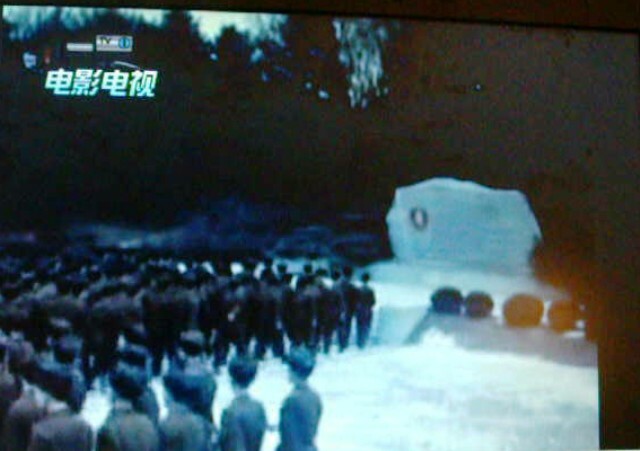 His trip paralleled that taken by party and military groups throughout 2010 to a monument erected to commemorate the 50th anniversary of Songun leadership. The reiteration of party life, as well as the ultimate objective of the Party Conference, will be to advance succession by historicizing Kim Jong Il. One further note; while it is possible Kim Jong Un will appear at the 3rd Party Conference, it is not the only event in September or October where he could make an appearance. He could appear during events commemorating the foundation of the DPRK (9 September), the death of Kim Jong Suk (22 September) or during the anniversary of the KWP in October. If KJU does not appear at the Party Conference or on foundation day, one might look for succession indications during the KJS commemoration. This entry was posted on 09/03/2010 by nkleadershipwatch in Administration Department, Central Committee, DPRK External Relations, DPRK-China Relations, Jang Song-thaek, Kim Family, Kim Jong-il, Kim Jong-un, Korean People's Army (KPA), Korean Workers' Party (KWP), leadership succession, MPAF GPB, National Defense Commission (NDC), North Korean press, party life, Propaganda, social control, succession.